Does your family come to town the weekend before Thanksgiving? Do you have a big group who wants to take the tour together? Our Preview Night on Sunday, November 18, is perfect for you. 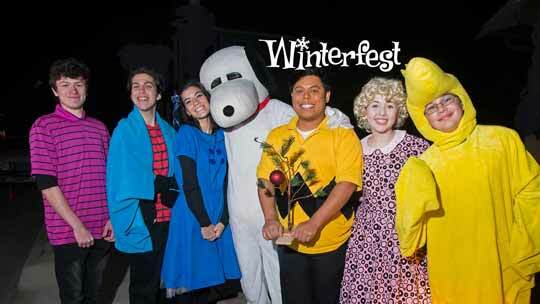 At just $16 per ticket (only $9 for kids! 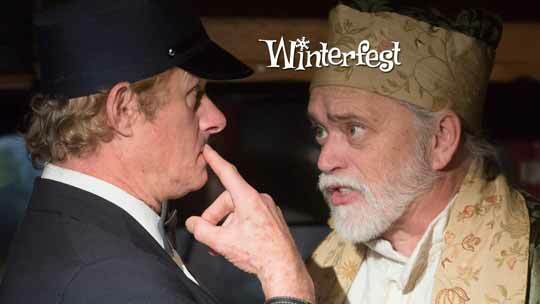 ), you can experience the wonder of the Performance Tour at its most improvisational. More of Your Favorites in 2018... and something new! 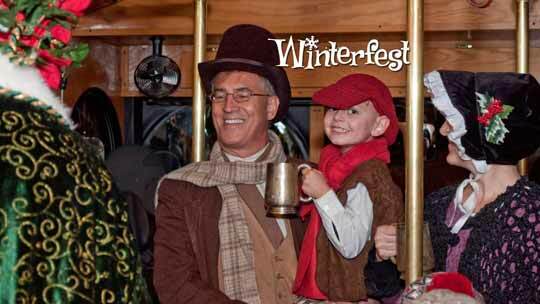 Winterfest's premier tour features 17 performances along a 60-minute trolley trip through Downtown Pensacola. 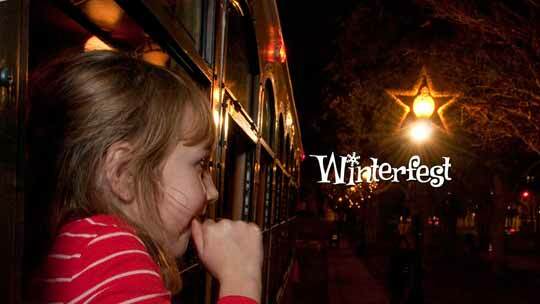 Singing guides accompany you into a world of wonder with scenes from your favorite holiday memories. 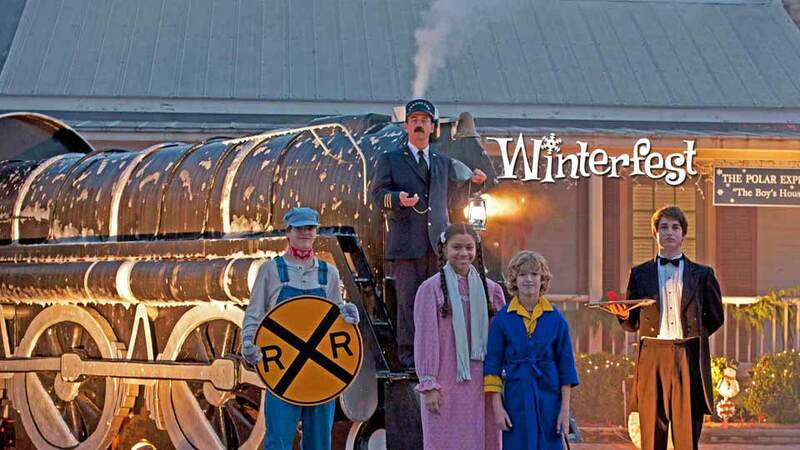 Along the way, Elvis, The Polar Express, and even the Grinch will get on board to share the spirit of Christmas. 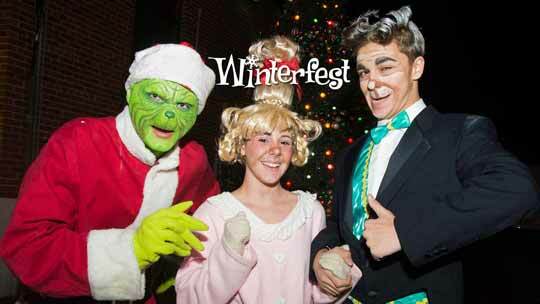 In 2018 we're expanding the Island of Misfit Toys and Elvis, and A Christmas Story is returning to Seville Square. 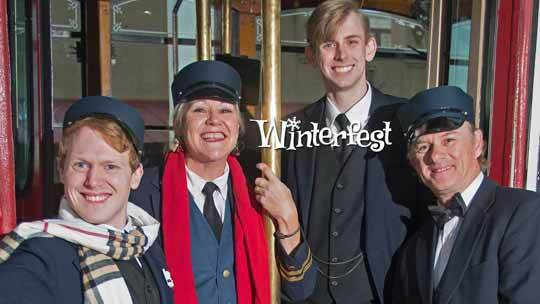 Winterfest and our Red Trolley Repertory Theatre project have pioneered the trolley theatre concept, in which the audience moves to meet the actors of each scene. The vehicle becomes a stage while the downtown neighborhood and our set pieces provide a dramatic backdrop. 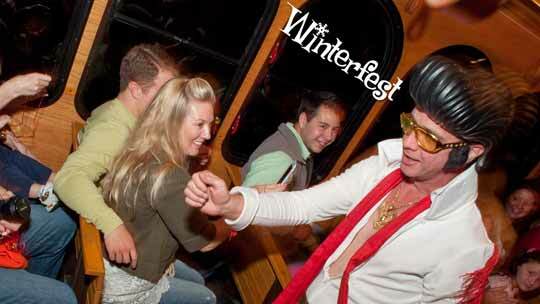 Once you're underway there's no need to get on or off the trolley to see performances.